Establishing residency overseas is one thing. To establish citizenship is another. No need to be a citizen of a country to "reside" there. Residency only means that you have a right to "live" in that country. Each one of these choices require different visas, although sometimes you can be a tourist without having a visa. It depends on where you travel and where you're coming from. You may decide to avoid permanent residency. Anywhere. This is possible as well. It is up to you. There are also advantages to becoming a dual national, which means being a citizen of more than one country. This again, is your choice. Bottom line...you have different options when it comes to establishing residency. Even if you establish residency overseas, you still continue to be a citizen of your own country. It only means you are no longer a resident. If you are originally from the United States and continue to file your tax returns every year, your citizenship is not affected. It does not matter where you live or how long you're away. Therefore, establishing residency overseas is not an issue for Uncle Sam and your social security check. Take extra passport pictures along for border crossings when establishing residency abroad. Other essential overseas retirement preparations include getting the recommended vaccinations. Most diseases can be avoided with a simple vaccine. Be aware of issues regarding paying taxes overseas such as your tax obligation to your home country and local taxes when living overseas. Avoid unexpected surprises by finding out what costs are involved first. Consider hostel accommodations or bed and breakfast inns instead of expensive hotels when traveling. And use public transportation whenever possible. You can save a lot of money this way. Get more tips for affordable travel here. When living or retiring in a foreign country, health care is a major issue to keep in mind. Before establishing residency, consider maintaining a home base address and keeping your health coverage until you are ready to look at other medical options. Although medical care is much more affordable overseas, find out all you can about health care overseas before making a decision. The following International Travel Tips and Resources provides services for U.S. citizens who travel, live or retire overseas. Keep these sources handy if you are considering establishing residency abroad. Here you will find a List of Emergency Services for United States citizens abroad. Details include what to do in case of death, arrest, missing citizen, victimization of crime, how to send money, stolen passport and more. Find out the latest travel warnings issued by the State Department due to dangerous conditions in certain countries. Learn which hot spots are unstable and if you should avoid travel to a specific country. Even though this is geared toward students, it works for everyone. USDA provides information about food, plants, or animal products you can or cannot bring into the U.S. This agency allows submission of import permit applications, ePermits, tracking applications and more. A visa is a sticker or stamp affixed to your passport. It grants you the right to enter a country--Either as a one-time entry, multiple entries, or for a specific length of time. Visas vary from country to country. Always read yours carefully to determine the maximum stay for the country you are visiting. Some countries may not require a visa for a tourist staying up to 90 days. A tourist visa is required in some countries if your stay is longer than 3 days. You can usually remain in the country you are visiting for up to several months with it. There are different types of temporary visas. These "travel permits" are usually renewable and are sometimes issued for work or study reasons. Some may require a bank statement proving a minimum monthly deposit. Permanent Residency may be granted if you are married to a citizen of that country or if you've resided legally for a number of years as a temporary resident. It is not an obligation. And permanent residency may lead to certain legalities. But there are some countries that make it very attractive to become a permanent resident by offering tax breaks. If you want to stay away from becoming a permanent resident of any country, avoid remaining any longer than 5-6 months out of a year in one country. Divide your time between 3 or 4 places instead. That way, you can avoid any legal obligations. Decide what your goals are when choosing a retirement location and then decide if there is a need to establish residency overseas. European travel is an experience not to be missed. But if you're not careful, you can end up spending a lot more than you bargained for. Find the best ways to exchange currency, withdraw money, and pack for European travel. Travel by train to cover longer distances in Europe. Express trains are best for travel from large city to large city. And use local trains for travel to and from the smaller cities. Find your way around train stations quickly with these simple techniques. A European rail pass can be a great value if you are visiting several spots. Keep in mind that Europe is extremely condensed and easily traveled by train. Know your options before purchasing one. Find out how a European Rail Pass works and how it can best help you. 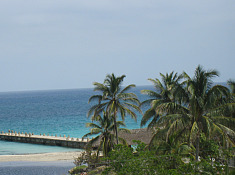 Travel recommendations are posted here for those traveling to or retiring in Belize. You can also share your own recommendations and experiences. 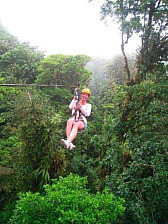 You will find information and recommendations for traveling to or retiring in Panama. You can also share your own recommendations and experiences. Finding affordable travel overseas is not synonymous with poor conditions. It's about getting more for your money. Like low-cost air fare, affordable lodging and inexpensive meals. What are your overseas plans? Is it to hang out under a palm tree with a steady supply of Mimosas? Or is your retirement dream to open a sandwich shop in a South American beach town? What is it that you REALLY want to do? Make it easy on yourself. Find out what your needs are regarding residency and citizenship before deciding on a retirement spot. You could always become a permanent tourist and write about it. Then you could do away with the hassles of establishing residency.